“Comping” is a term coined by jazz musicians, which means accompaniment. It is what the rhythm section players do while the lead player plays the head of a jazz tune or solos over it. It is the most important role for all rhythm section players, such as pianist, bassist, guitarist and of course drummers. Spices up the groove and time flow. Supports or responds to the soloist or lead voice. Supports or responds to ideas from other members of the rhythm section (compers). Developing your comping skills is something that takes time and a lot of effort. But as I said before, it is a fundamental element for any rhythm section player. Many players get called for gigs only because of their ability to comp tastefully according to the style being played. For drummers, this is not the exception. On the contrary, comping is everything. I would say drummers are comping 98% of the time they are playing with other musicians. Hence the importance of spending a good amount of time developing this skill. Comping requires more than just chops. A good comper needs to develop a good set of ears and sense of form. This is because our choice of phrasing and notes for comping are going to be subject to what the piano player, bass player, and soloist are doing in the moment. Also, we have to be aware of the form of the tune, because this can also determine our choice in the comping patterns we use. Our comping choices need to be tasteful, and most importantly they have to enhance the soloist or lead voice of the moment and also underline the form of the tune. A characteristic of a great comper is patience. We have to listen to the soloists unwrap their story, so we can react and feed off it. Good drummers/compers would never play all of their ideas right away. He/she would let the soloists play something first, check the comping style of the rest of the rhythm section, and then react and compliment those ideas and directions. They would wait for signals to help the soloists take the rest of the band to new territories. A great comper leaves the ego at the door and plays solely for the music. A great comper is a team player who can adapt, take directions and make everyone else sound the best. NOTE: This lesson is not going to be a basic cymbal/snare/bass coordination type of lesson. I’m assuming you guys have worked on that already. If you don’t, please go and check “The Art Of The Bop Drumming” or/and “Beyond Bop Drumming” by John Riley. 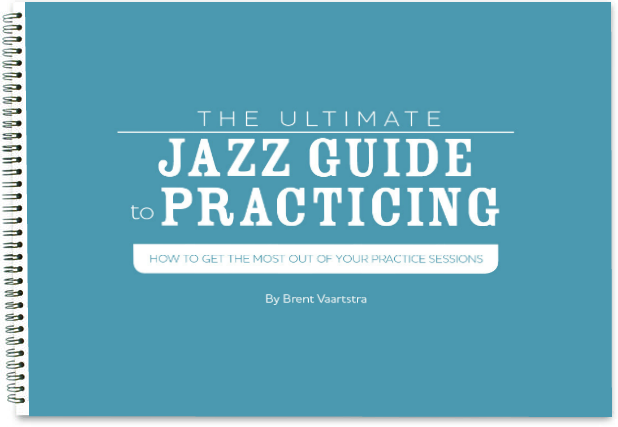 In my opinion, the best resources for aspiring jazz drummers in the market. The purpose of this article is to develop the language and ideas for your comping, learning how to improvise and not only play pre-memorized comping phrases. I want to make your comping more musical, fresh and interesting. So now that we have an idea of what comping is, let’s work on some exercises to improve our skills. First of all, LISTEN TO MUSIC. This can sound generic, but it is vital. When you do so, let’s not only focus on the drummers but pay close attention to the piano players. Those guys are going to tell you what to play. Remember: Records are our best teacher. This first game was created to develop more awareness of the piano players’ comping language. The main idea of this exercise is to listen carefully to the piano player or whoever is playing the chord changes and try to lock in with them. Also, we want to develop the ability to shift the focus from our playing and direct it to a particular member of the band. While you play along to the record (keeping a nice ride cymbal beat), focus on the piano players and try to catch their hits while play around them. Create a conversation with the piano player. For this one, we are going to do the same as the previous one. Only this time we are going to shift our focus towards the soloists. Let’s try to get some of their phrasings, repeat them in a sort of counterpoint fashion, and try to accent the end of their phrases. As its name implies, we are going to be shifting our focus between the soloist and the piano player. 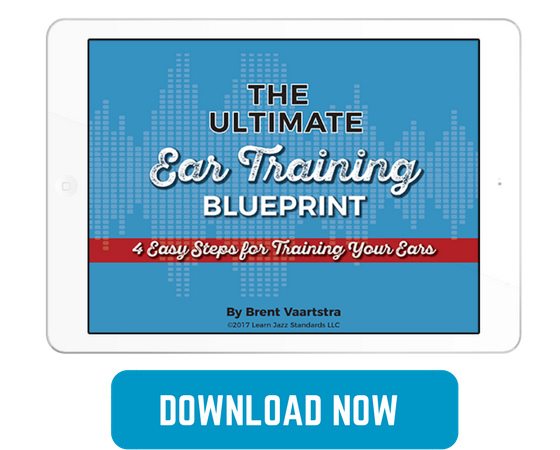 We can choose to do it every four bars, eight bars, every other form or simply every time you hear something that catches your attention. The goal is to gain the ability to listen carefully to what’s happening between the soloist and pianist. This one is my favorite. For this one, we are going to try to fill up space left by the soloist. So we are going to comp only when the soloist leaves some room for us. We can fill up space with a nice comping phrase or maybe a short fill. Make it musical and something that embellishes the soloist’s previous phrase. This can be challenging if the soloist is busy playing long runs of notes, but at some point, they have to stop, so be ready to sneak in between and throw some of those nice licks in there. So this is the last one and what we are going to do is mix games number three and number four. This one is the closest to what the real experience of comping on the bandstand would feel like. We want to have an eye (or an ear) on the piano player, but also on the soloist. We want to be able to play with them and around them, to fill in the space they leave, to truly create a conversation. 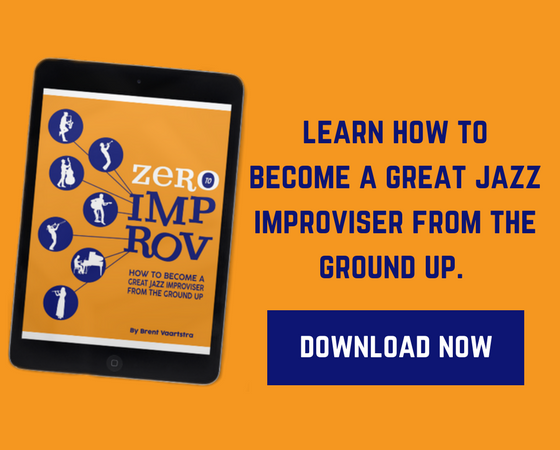 The ultimate goal of these exercises is to address the improvisational aspect of comping. It is not my intention here to teach you comping licks from famous drummers, instead, what I want you to do is put yourself in a real situation of acting and reacting to musical conversations. These games simulate the experience of playing jazz. They force us to play differently and more creatively, and by doing them often, you get used to the experience and get the creative juices flowing. Don’t get stuck on one tune. There is not a right or wrong way here. Play along with as many records as you can. The idea is to improvise, not to learn comping or phrases by heart. However, the more you do it you will find it becomes easier to lock in with different piano players and soloists. See you guys in another lesson. And remember, feel free to leave comments or questions. I’ll be more than happy to answer.